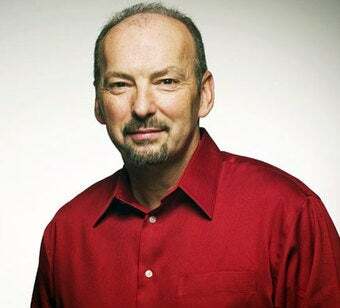 This is a column about Peter Moore, and because it's about the EA Sports president, it's going to be, in some way, about Madden NFL's exclusive license. So, let's get this out of the way. Because Peter's probably reading. "I read your stuff, I read your readers," Moore told me during a lengthy, wide-ranging talk at E3, "and I have given up trying to explain that it is not EA Sports' monopoly on the NFL license. It is our good fortune that we were able to win what is an exclusive license." That is all true, from an Obi-Wan Kenobi certain point of view. The NFL has famously insisted on single licensing partners per product, not just in video games. It's a policy that's gotten the league sued, and returned a Supreme Court decision that could conceivably affect Madden's license down the line. Of course, litigation against the NFL Player's Union also exposed that EA Sports - in an arrangement that predated Moore's tenure by three years - got a well below-market deal from the players' union that helped freeze out competitors, notably NFL 2K5 - another thing brought up any time Madden's in the discussion. Did EA And The NFLPA Conspire To Lock 2K Out Of The Football Market? I suggest that gamers are disinclined to trust that Madden has any incentive to improve itself each year when it has no competitors. "There is a cynicism that it's just a roster update," Moore said. "I think everybody who says that either doesn't play the game, or just uses that as a comfortable crutch to be critical. Because it isn't. It clearly isn't. If you played it year in and year out you'd know, you can point to the 20, 30, 40 things that we did differently from the previous year. But I recognize that Madden, in particular, is a unique situation because of the fact that we don't have competition that is fully licensed, on the console." Sports gamers love a good underdog, and EA Sports is anything but. They also love a winner, and Moore has plenty - FIFA and NHL are best-in-class success stories. Mostly, what they want, is a good competition, and Madden sticks in their craw where other dominant products are celebrated. It comes back to that perception that EA bought the pot with North America's biggest sport. Not so, Moore says, pulling up examples. "Some of that [talk] should have been mitigated by the fact that you saw that Quick Hit Football just got an NFL license," Moore said of the free-to-play, online strategy game, "so, everybody, calm down." The fact remains EA Sports is one of the few publishers left with that kind of checkbook, either to establish new A-list games or to the threshold of pain to retrench and invest in second-place finishers. Its mass is all the more apparent after the noticeable contraction of annual sports titles over past year or so. But where the company makes a transparent spin-up of a bona fide crowd-pleaser like NBA Jam - its E3 booth was jammed every time I visited it - it can also act unilaterally. Online Pass, the new policy of one-use codes to access multiplayer, which will either curb resales or direct some revenue from them back to EA Sports, is a good example of this. Its announcement wasn't a total surprise; Moore had hinted at such a plan before. EA Sports also brought it up a month before it was first implemented in Tiger Woods PGA Tour 11. There's even been some sympathy for EA's right to be paid for what it sells. But there's also been a feeling that this is a shot-caller flexing its muscles. "One thing I have to do, and it's my job, and my development team's job, and my marketing team's job, is make you not want to trade the game in," Moore said. Online Pass might negatively condition that - there's a perception it will drive down the resale or trade-in value of the game. But since the code is free and perishable, it might also encourage new retail buyers to value multiplayer as something more than an add-on, and try it more robustly. By EA's own admission, 350,000 people log in to Madden once and never return, and that's the aspect of a sports game that, long after the season's over, has the most replay potential - as a still million daily users logged in to Madden 10, five months after the Super Bowl, will attest. "From our perspective, [it's] conditioning you to punch a code in, to get you going, get some digital content, and conditioning you to look at digital content as a value-add to the game experience itself," Moore said. And, though multiplayer is technically still free if you buy the game new, it still isn't free to EA Sports. "It's not something I want to focus on, but it's still a factor that the cost of a million people playing Madden 10 online is not inconsequential," Moore says. He made the case to me, but he thinks you already get it. "I read everything you write, and then i read everything that they write about what you write underneath, and I wills ay you have the overwhelming majority of people that are buying new," Moore told me. "And those guys are actually vocal - this is me just saying what I read - against people who buy used. They recognize the business model implications of new versus used used. Whilst I'm not sure they're angry, they absolutely look at what's going on in the marketplace and understand totally what it is we're doing." Despite these and other prerogatives it exercises, the truth is EA Sports does face competition, or has clearly won one, more than it's claimed victory by default, and in EA Sports MMA it's shown an appetite for going to market even without the backing of a sport's establishment brand. The UFC, whose boss, Dana White, has been openly hostile to EA Sports (if with a kind of fight promotion rhetoric) is the sport's leading brand and is on a product with a two-year head start in the market, THQ's UFC Undisputed. "In some instances it's a lot more fun to be the challenger brand," Moore said. "I did it when I was at Reebok, I did it when I was at Sega, I did it when I was on Xbox. In this instance we're challenging a great developer, a great publisher, a great license and a great game. The only way to do that is to make a better game. And you have to believe in the sport." Again, perception re-enters, that EA Sports was an embarrassed follower caught flatfooted by THQ's shrewd move on a growing sport. "That is as big a made-up piece of trollop as I read every single year, there's your sound bite for the afternoon," Moore exclaims. "I need to go figure out the day we greenlit EA Sports MMA, because I'm just tired of the [idea] that we can turn on a dime, and let's create a game that you just played hands-on, live code, on this floor. That people are saying we saw what UFC Undisputed did in May of last year and can suddenly turn around and develop a game that you can play the following year. We are at least two years into development before UFC had shipped in this generation." And he's telling the truth. His NASCAR title was shuttered in 2008 and many on the team were put to work on MMA. It's not to say they had to build something completely from scratch, however. "It's one thing if it's just a standard fighting game, but then there's the complexity of the ground game," he said. "We have the advantage of being able to apply physics and our, almost a decade now, of boxing titles to bring in, certainly for the stand-up element of the game. [But] in no way was it a reaction to the success in May of last year, of Undisputed." One game in which Moore does acknowledge reacting to a superior competitor is NBA Elite, to which he reassigned David Littman, the producer of NHL to reinvigorate a franchise that only last year produced consensus quality on the current console generation. It was still smashed at the cash register by NBA 2K10. I asked if there is any clock ticking on this particular franchise. "No," he replied. "We've been a partner of the NBA for too many years, that's going to continue ad infinitum. "The fact of the matter is we had, a number of years ago, a had not lived up to what the quality level should have been and we've been repairing the damage ever since," Moore said. "NBA Elite 11 feels, to me, like it's something that is worthy of being back in the saddle as a leader." And then there's the game where EA Sports has zero presence - baseball, where its acclaimed MVP series was shut out five years ago when 2K Sports inked its own exclusive pact for the Xbox. Moore had said his division is constantly examining and tearing through any and every game coming out in the year, for business intelligence as much as curiosity. I told Moore I scarcely believe they don't have a plan for getting back into the Major Leagues. "We would love to get back involved in baseball," Moore said. "The ability for us to be able to get back, and in a meaningful way, and in a way that makes sense for the shareholders of Electronic Arts is going to be important. But we're all baseball fans. I always say this, though, and we're always looking at what's going on there. Our friends at Take-Two and at Sony have obviously got very robust licenses. No way are we going to negatively impact that while they have a binding license. But, you know, we'll see." Amber Nichols contributed to this report.